At KillaWatts Solar Power we pride ourselves on delivering the highest quality solar power systems to meet any budget for customers throughout the Illawarra. We give attention to detail and provide customer service second to none. Call us today and speak to aprofessional installer to see how you can benefit from solar power. KillaWatts Solar Power is an Owner/Operator business run by David Russin. David is a licensed electrician and accredited solar power and battery storage designer and installer with years of experience. When you contact KillaWatts you speak to David himself. David quotes, designs and installs each solar power system, ensuring the highest level of workmanship and customer satisfaction. We have been in the electrical industry since 2000 and in 2014 we started to focus more on solar power. 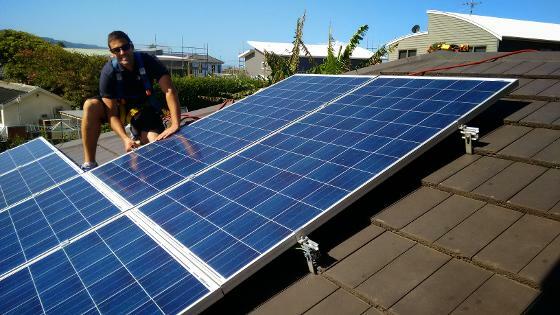 We have gained a solid reputation in the Illawarra as a reliable and trustworthy solar power and battery storage installer with high quality workmanship and products. We keep our business structure and overheads simple so we can pass on the best service and price to our customers. Talk is cheap though, so we like like to let our professional solar power installations and very happy customers do the talking for us.